I was on my way from Waltham to Boston when an elderly woman got on the bus. She was not seated yet when the bus started moving, although usually drivers wait until the elderly are seated. Meanwhile, her umbrella fell off her hand. Having been raised in the Afghan culture where children are taught to respect elders at all times and to always help them when they need it, I tried to help her pick the umbrella up. The woman got furious and started lecturing me. “I can help myself! Do you think I am that old to need others’ help?” were her words that I still have in mind. That day, I realized that this was not the first time I had encountered a person too sensitive about age. I had similar experiences with other people in Afghanistan as well, although not nearly as verbally expressive. However, I remember one instance where the daughter of my friend got told by a woman not to call her as ‘aunt’. The reason the woman gave was: “Today you are young but you will grow up so soon and then people will think I am too old to be your aunt.” The fact is that the mother of the girl had called this woman her “sister” but she in return refused to be her aunt and, out of the fear of aging, forgot that ‘aunt’ means a mother’s sister. On the other hand, many times people, in order to feel younger, deliberately call others almost their age as ‘uncles’ or ‘aunts’. “My husband felt miserable and clumsy when a woman almost his age called him ‘uncle’. He thought something was wrong with his body or face,” a friend told me once. In the Afghan society, people are called by their professional title followed by a saib, which roughly translates to “Mr.”—e.g., Dr. saib, Engineer saib. As in western countries, Afghans, with no professional title, now have started to prefer being called with their own names instead of the name of a relationship such as aunt or uncle even if they are of the age of one’s parents or uncles and aunts. A married person, even if he/she is very young, is expected to avoid using ‘uncle’ or ‘aunt’ for those who look relatively younger for their age. In many South/Central Asian societies, including Afghanistan, it is rather normal to be expected to respect an elderly for their age regardless of what they have done for the society and for the community or even for their own family. It is the age that determines a person’s ability to make major decisions about family matters, since older age means more experience and hence more wisdom. Even though ageing gives one an authoritative position of an intelligent person in societies like Afghanistan, people still seem not to know how to count over twenty or thirty when it comes to age. It’s not only women who detest their aging but men do too. There are some deep-rooted reasons to why many people want to appear younger. If an older man marries a younger woman, he feels proud of his achievement but if an older woman marries a younger man, she has to hide her real age because it is looked down upon; the problem of menopause and thus becoming infertile after a certain age can cause the risk of a relatively younger husband’s choosing to take a younger wife as well. Another great reason for skipping to count years that add to the age after twenty for women is the problem of being unable to find a better suitor after a certain age. Younger women are preferred as potential brides. “A woman is considered too old to marry if she crosses the age of twenty-two. […] the older a woman gets, the less options she has and even less interest is expressed in her.”2 Sometimes, for the purpose of securing a job or keeping the job after the age of retirement, it becomes necessary to appear younger on the papers. Sports-players are known to hide their real age in order to remain on the ground. Film actors hide their age because they know if their beauty is gone, their career is gone and ordinary people think if beauty is gone, attention is gone and many people attribute attention with respect. Stereotypes are formed about aging because of our own behavior towards this natural process. Moreover, the media has played an important part in creating the stereotypes about the elderly in the minds of the masses. A Samsung commercial shows a young man waiting in line to buy an iphone but it turns out he was holding the spot for his mother. The point of a younger generation’s preference and ability to interact through a variety of advanced technology devices—in this case, Android phones over iphones--is clear. But it seems a matter of opinion according to a culture more than the media. The negative perceptions that are usually used in the form of different phrases to make fun of the age of a person are quite common. Phrases such as Kroop (m), Kroopa (f) (“distorted”), zarra (f), zorr (m)—oldie, gail ba si—(“will roll over” towards the grave), wrasta (f), wroast (m)—(“stale”) and many more are used. In the Afghan society, with the passage of time and people’s familiarity with new technology, younger people usually call their elderly colleagues kohnapikh in Dari or zaarumbai in Pashto (“oldies”) because the younger ones believe that the older ones have no idea which way the world is moving. These Pashto and Dari terms are in fact reserved for government officials, who are usually smirked to detest retirement and to be too “expired” to understand the requirements of the new institutional and organizational world based on technological advances. This idea is getting stronger with the additional sentence in job advertisements which go: “English and knowledge of computer required”, which automatically disqualifies the “only-pen-and-paper-users”. No matter what their qualifications be. These elderly people, too proud of their thirty-plus years of experiences, have their own phrases and terms for the younger people ready to take over the job markets. There have been instances where people lie about their age without any of the above reasons and a difference of even one year in age with that of their friends’ and acquaintances’ is satisfactory to some to feel younger. A woman who always said she was ninety-five years old turned out to be hundred years old and her daughter was shocked when she came to know the truth about her mother’s real age. This incident reminds us that even at the age of hundred years, it matters to people to hide their ages. It is easy for Afghans to increase or decrease their ages because they do not hold birth certificates like the ones issued in many other countries upon birth. A child born in a hospital is issued a birth certificate upon the family’s request in the bureaucratic system, but it does not hold any legal significance. It is not an important document in securing national identity cards or admissions in academic institutions if the applicant’s father has a national identity card as a proof of the family’s nationality. This document also does not help in getting the nationality of Afghanistan upon a child’s birth there. The age of a person is written on the Tazkira—the national identity card where people can always choose to have “more life” and “less age” since there is a lack of a database for recording the dates of birth of the citizens. 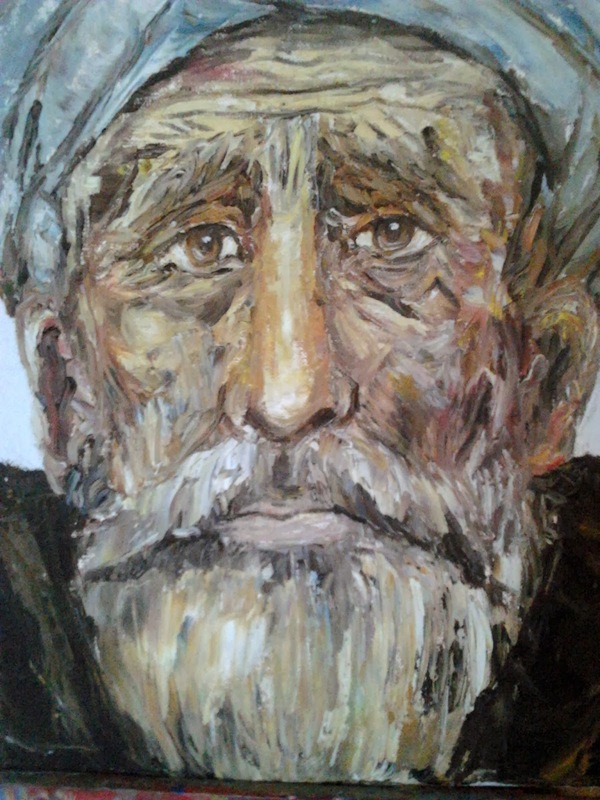 In Afghanistan, ageing has recently become a dreaded stage of life, and the fear has caused men and women to fall under knives to hold back the time; it is as much manipulatable in Afghanistan and many other eastern societies as it is in the Western. Even though, examples such as the above do not seem the quest for living longer since all know trying to appear younger cannot save anyone from death. Research has shown, however, that those, with youthful faces for their ages, live longer than those who look older than their ages. In the Afghan society, due to harsh living conditions, people tend to age and perish more easily than of those in many other countries.